Due to limited movement capabilities of foot and leg casts, Mike North met with Studio Fathom to solve these issues. The “BOOMcast”, is custom designed using a body scanning program and is made of a material noting its incredible impact and durability strengths, Nylon 12. 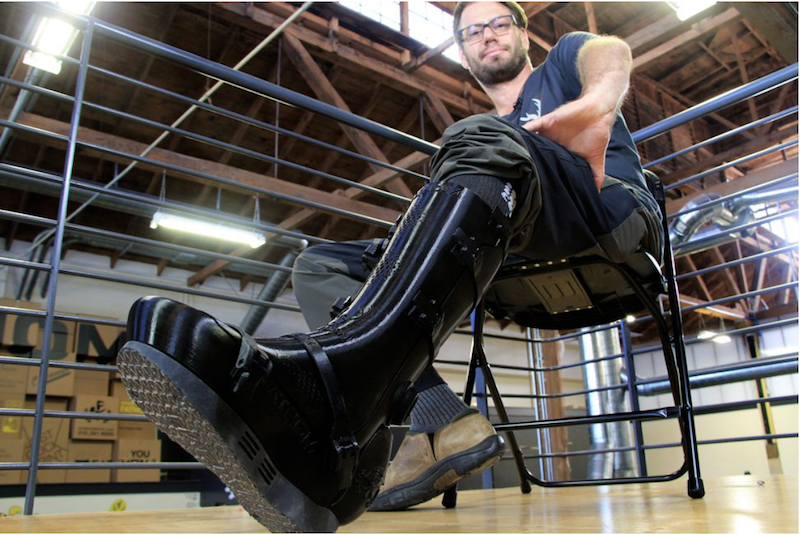 The leg cast is modeled using a 3D printing process and has additional components, such as sensors, lights, and speakers. The electronics embedded in the design, allow for doctors to watch over the leg’s healing process from any location. This would be an interesting model to research for its music playing abilities. I am thinking about implicating a wearable/fashion technology that has the capability of auxiliary/Bluetooth sound emission.